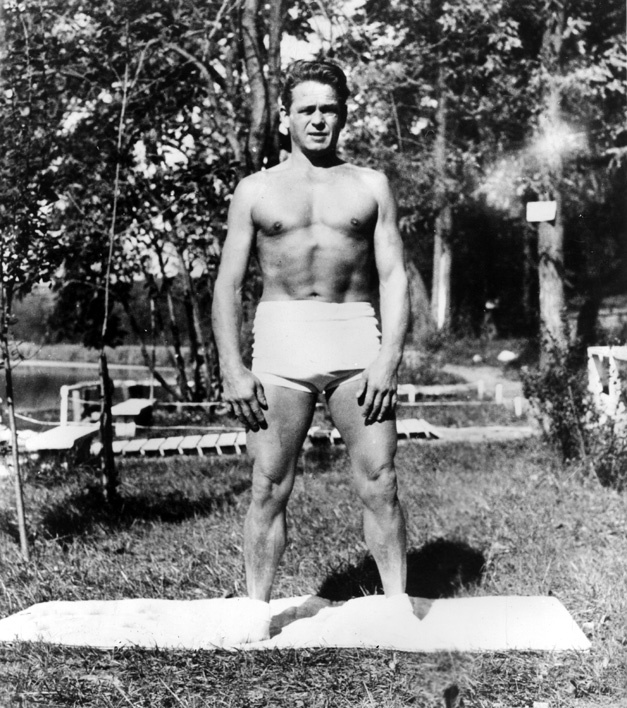 JOseph (& Clara) Pilates created the movement we know today as simply “Pilates.” Their legacy lives on in the thousands of pilates teachers and practitioners in the united state and around the globe. In 1912, he moved to England to join his brother and the two of them performed as acrobats and pugilists. During World War I, Joseph – as a German national was placed in an internment camp. It is there that he truly started to develop his Mat work exercises. Because of his prior background, he was brought to the Isle of Man where he worked with the injured soldiers returning from the war. Joe felt that in order to heal properly that the body needed to continue to move. Consequently, he began physically moving and exercising the injured soldiers in their hospital bed. He grew physically tired of doing this work and consequently began utilizing springs from the hospital beds and other props. This original thought process involving ‘springs’ eventually grew into what is now known as the Cadillac or Trapeze Table. After his time in England and in the internment camp, he returned to Germany to work with the German police force. By 1926, Pilates started his journey to New York City where he met his common-law wife, Clara while en route. Together, they opened their first exercise studio at 939 8th Ave. Over the years the Pilates Studio attracted quite a diverse clientele of the ‘Who’s Who’ in NYC society, Dance Entertainment circles. 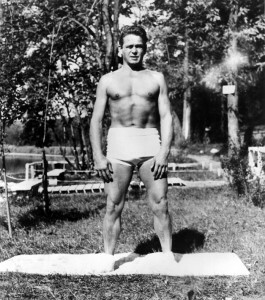 Joseph Pilates passed away at the age of 87 in 1967 leaving behind a legend that would change the fitness industry in many significant ways in the years to come, his method of “Contrology” became quickly embraced and was years ahead of its time. Over the course of more than 85 years, Pilates has continued to grow and thrive and change the face of fitness not only in the US but the rest of the world. Pilates truly was the first US exercise export. No matter where it is being taught now in the world the Pilates method’s roots are traced directly back to the US. Eve was born Henrietta Greenhood in San Bernardino, CA on August 20, 1909. In 1917 she began to study ballet, folk and ballroom dance and in 1928 she moved to San Francisco and began studying modern dance. It was in 1936 that she moved to NYC where she began a dance career with the Hanya Holm Company. She choreographed her most famous dance piece Tenant of the Street in 1938. She married her childhood friend and beau Bruce Gentry in 1944 and chose the professional name – Eve Gentry. In 1940 Eve and 3 other teachers founded the Dance Notation Bureau. She was in fact the first American dancer to teach Laban notation in the US. 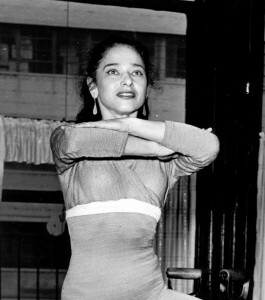 Eve directed her own dance company from 1944 – 1968. She was also a charter faculty member for the High School for the Performing Arts and the New York University School of the Arts. Most significant in this context is that she served as teacher and associate with Joseph Pilates in NYC from 1942 – 1968. During this time Eve had a radical mastectomy in 1955 and knew that the only person she could turn to for help was Joseph Pilates. So much muscle had been removed she could not lift her arms. With Joe’s help and guidance she was able to return to dance in one years time. She relocated to Santa Fe, NM in 1968 and established a dance studio as well as a Pilates studio with the equipment that Joe had given her prior to her departure from NYC. Eve worked with the Santa Fe opera and choreographed and danced in Stravinsky’s La Rossignol in 1969 and 70 and at the age of 63 danced in the world premiere of Villa Lobos – Yerma choreographed by Jose Limon. Throughout her more than 50 year career Eve was a dancer, teacher, coach and choreographer for countless stage, film and television projects. In 1979 Bennington College honored her with the ‘Pioneer of Modern Dance’ award and in 1989 was chosen by the State of New Mexico as a ‘Santa Fe Living Treasure’. Eve died on June 17, 1994 at the age of 84. Although she trained only 3 individuals to teach the Pilates method in her lifetime, her contribution to the preservation and development of the Pilates method remains to this day remarkable. Michele is a former dancer and choreographer who trained at the Julliard School of Music. Michele received a BA in Holistic Health from Antioch University. She began teaching movement in 1965, instructing dance for the NY Public Schools in 1965. Through the years she has taught Labanotation, modern, jazz, ballet and choreography in professional studios and universities. She began teaching Pilates Mat work and post-injury classes in 1979. In 1982 after 12 years of study with Eve Gentry, Larsson began teacher training under her guidance. She spent many months working with Ms. Gentry. 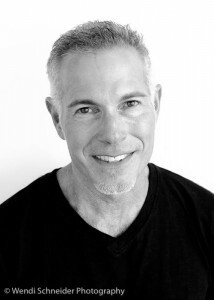 Larsson worked as an associate teacher with Eve Gentry for nine years prior to the founding of the Institute for the Pilates method with Eve and Joan Briebart in 1991. While she was with the Institute she was the Director of Training and developed curricula and materials for Pilates Teacher Training. 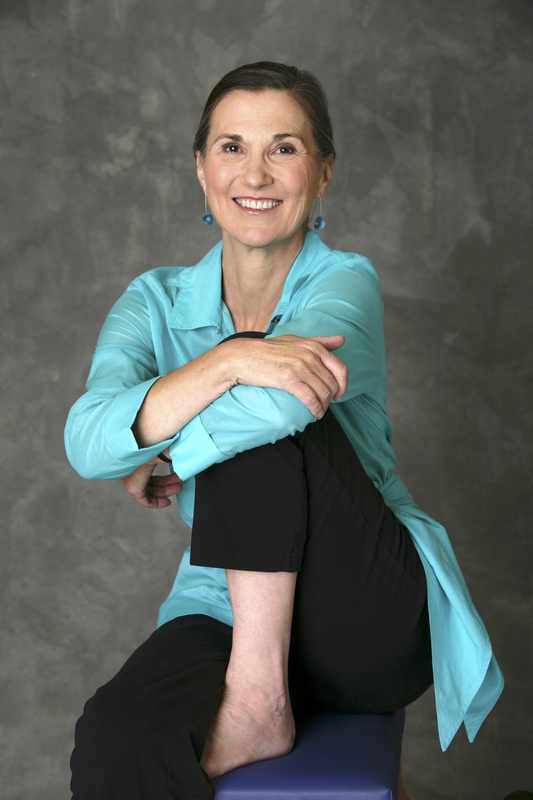 Building on her past experience, Larsson established Core Dynamics Inc. in 1996 as a teacher training organization and studio in Santa Fe, NM. The program expanded to 6 locations throughout the US. Larsson decided to put the Teacher Training Program on hiatus for a few years as she studied and further developed her own continuing education and advanced studies workshops and delivered those workshops throughout the US and Internationally. As she continues to develop her own advanced study workshops she has sold and turned over Core Dynamics Pilates to Kevin Bowen in September of 2014. Michele is recognized as a master Pilates and Movement educator in all phases of the Pilates method utilizing all of the apparatus.